Nestled on the northern shores of the Dominican Republic and just a short ride from the Puerto Plata airport, the charming beach town of Sosúa is the perfect destination for an idyllic tropical escape. 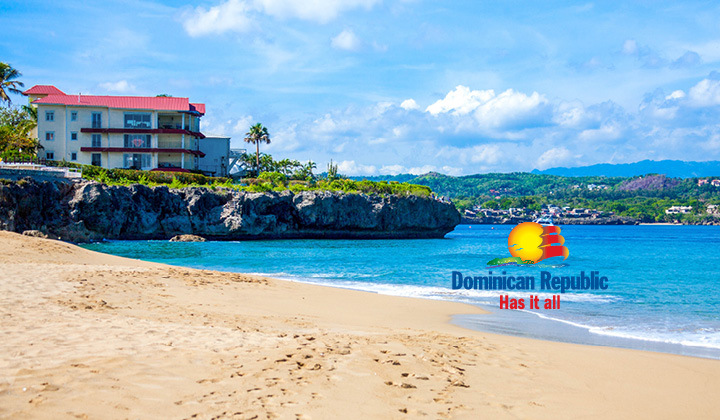 The town is home to Sosúa Beach, one of the most popular beaches in the Dominican Republic due to its sheltered shores suitable for families, where kids can splash in the calm ocean surf while parents relax under a nearby shady palm tree. The calm waters and protected coves have made Sosúa a popular destination for snorkelling and scuba diving, and water babies can spot a wide variety of exotic fish swimming amongst the colourful coral reefs. Travellers seeking adventure can head to El Choco National Park in nearby Cabarete, where there are numerous exciting excursions and activities to choose from including horseback riding, ziplining and cave tours. At the end of an exciting day, hungry adventurers can head to one of the local restaurants to indulge in fresh seafood dishes or the local Dominican specialty called “sancocho,” a stew made with seven different varieties of meat. What to pack: Don’t know what to bring? Don’t worry. Click here for a full checklist to print and refer to when packing for your all-inclusive vacation in Sosúa.